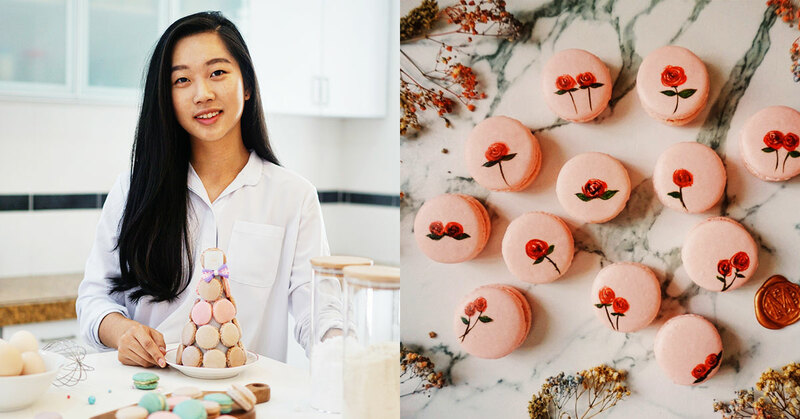 Macarons By Madeleine is a solo F&B business run by 24-year-old banker Madeleine Lew. 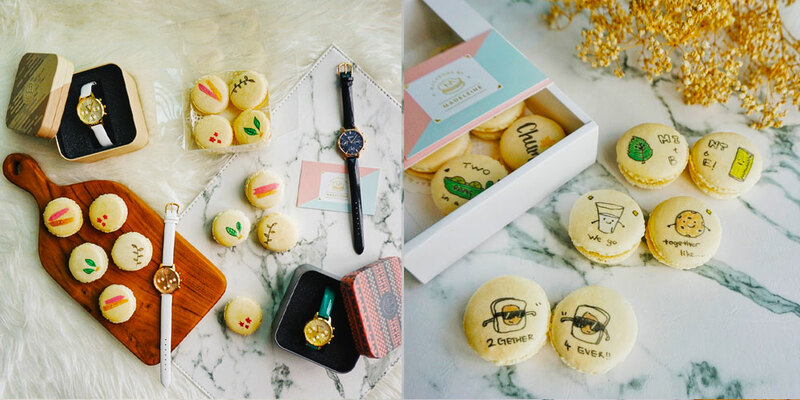 She offers up macarons that are hand-painted and customisable based on the demands of clients, and delivers to central regions of the Klang Valley. Lately, it’s become common to see young enterprising individuals go out into the world and try to build themselves a successful business creating things that today’s discerning market can appreciate. From hand-made leather wearables to goods made from recycled materials to food items made using high-grade ingredients, there have been an increasing number of these local brands started by these ambitious young entrepreneurs. One such individual traversing this route is 24-year-old Madeline Lew, a Business and Commerce graduate from Monash University Malaysia who decided to pursue a baking career in addition to her weekday occupation as a banker. 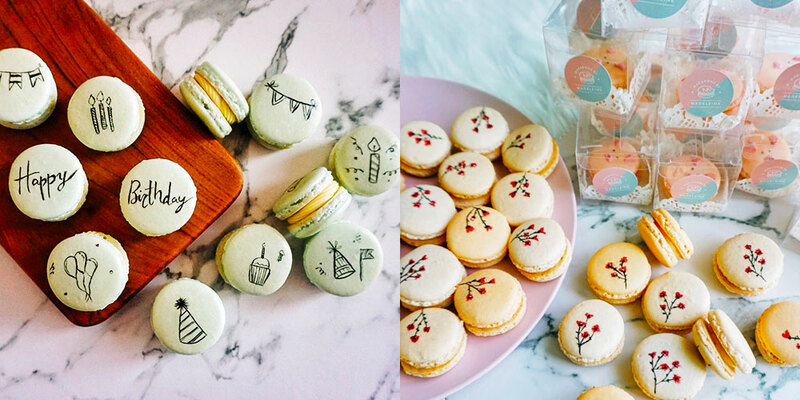 To be exact, Madeleine runs a home business called Macarons By Madeleine that offer artisanal macarons made to order, and markets them to most central areas within the Klang Valley, including Kuala Lumpur, Petaling Jaya, and Selangor. 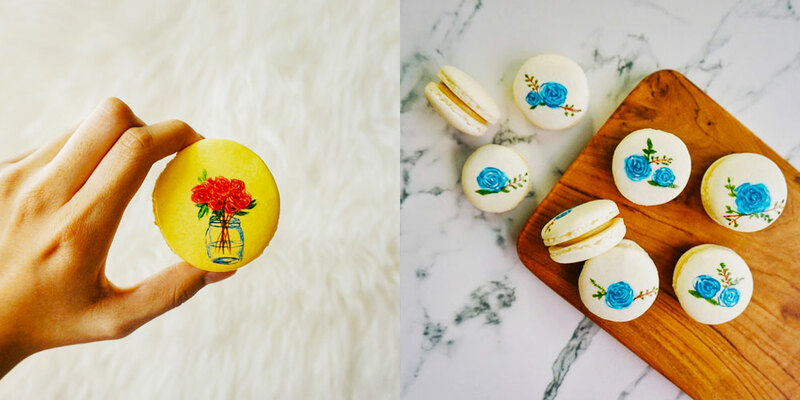 Her prices start at RM42 for a minimum order of 12 undecorated macarons, but rise to RM60 for customised, hand-painted pieces. For delivery, she charges a minimum of RM5, with prices differing based on location. Madeleine explained that she got started baking macarons after getting taught how to make them by one of her buddies. But for a few months after that, Madeleine never made moves to use her new-found knowledge until the beginning of 2018 when she wrote down her New Year’s resolutions. “I jotted down in my journal that in 2018, I wanted to bake macarons as birthday gifts for my close circle of friends, because what could be a better gift than something hand-made right?” she revealed. So after a period of trial and error—20 tries over a couple of months to be exact, Madeleine eventually got the hang of macaron-making and proceeded to create her business account on Instagram in mid-August of 2018, aptly naming her new brand Macarons By Madeleine. Madeleine said that she now uses her businesses not only as an income platform, but also as an avenue where she could showcase her creativity. True to this statement, Madeleine differentiates her offerings from other cafés and bakeries by adding all sorts of designs to her macarons. These designs range from floral patterns and cute illustrations to letter designs and custom messages, and have so far been successful in drawing attention from not only individual clients, but corporate ones as well. Madeleine explained that she got educated in beautifying her macarons mainly through online tutorials and having Lynn give her critique through WhatsApp. One of the concerns when it comes to food trends like these is longevity, with some trends able to stay evergreen while much more come and go in the blink of an eye. Addressing these concerns, Madeleine expressed that she felt there would always be a place for macarons in Malaysia despite there not being crazy hype or demand for them. She admitted she understood that compared to brands such as Tealive, macarons would probably never hit such levels of popularity—which by all accounts is fine by her. But despite this, she said there would always be some demand for food products like hers, mainly due to the fact that people always need options for special occasions. As proof of this, Madeleine revealed that on one such occasion, she received an order from a corporate client for 1,000 boxes to be used as door gifts for their event. Looking ahead, Madeleine is currently facing two distinct challenges in trying to grow her business—labour and logistics. For labour, she realises that eventually her business will need more hands on deck, and as such is considering bringing in another individual to help her manage growing demand and expectations. As for the logistics portion, Madeleine hopes to be able to expand her delivery reach to accommodate larger orders during high seasons and also extend beyond the Klang Valley to perhaps places such as Singapore. To know more about Madeleine’s business, you can check her out on Facebook or Instagram.